Is there something more attractive than a nice amber whisky? Such a delicate colour can only be the result of a long cask maturation… Well, in fact, not necessarily. If all whiskies are indeed getting their natural color from the cask maturation, the variation from light gold to dark red (sometime almost black), does not rely only on wood influence. It is an open secret but most whiskies are actually more or less artificially coloured with what is commonly called "caramel coloring". Does it mean that there is caramel in my whisky? Not exactly, as a matter of fact this is primarily a food coloring and more specifically a small dose of E150. Caramel color does not have a good press, a search for "E150” on Google should convince you. In fact, there are four classes of E150, named "a" to "d" or class I to IV, and whose main difference lies in the production mode and end use. The first version, E150a or plain caramel, is the closest to the caramel that everyone knows (except that it is much more concentrated than the one in your desserts) and presents no health danger. E150b includes sulfite compounds and is also risk free, except in cases of sulfite allergy. More controversial, E150c replaces sulfite compounds by ammonium compounds and E150d combines both sulfite and ammonium compounds. These two versions are in the middle of a controversy because their production involves creating a compound, 4-MEI, which is, since 1970, suspected of being carcinogen. By the way, E150d is the mainly used for soft drinks like sodas…a good reason to avoid the whisky / coke cocktail from my point of view! How can I be sure that my whisky uses E150a and not E150d? The answer lies in the alcoholic stability of each E150 classes and (luckily) the class I, meaning E150a, is by far the most stable in alcohol. Now that the presentations are made, let’s get to main question: why adding artifical color to whisky? Officially, adding dye to whisky permits to unify the aspect of a whole whisky production. In fact, all whiskies from a same serie do not necessarily have the same natural color, depending on the barrel in which they have been matured. The addition of dye can therefore calibrate all bottles to make them visually identical within a single reference, whatever the time of production. Less officially, we can reasonably believe that marketing has something to do in the affair. We, customers, are considering amber or even darker whiskies sexier than a golden yellow whisky. Why? Simply because most of us tends naturally to think that the darker it looks, the older it must be and the better it should taste. Does caramel colouring change the taste? Some people are suggesting they are able to identify caramel color by tasting the whisky, probably confused by some caramel flavors. As a matter of fact, it is highly unlikely, as E150a does not taste like caramel but has a somewhat bitter taste. I recently tested a "non-coloured" whisky (ie without dye): the Ichiro's Malt & Grain. Since I’ve not been able to test the exact same whisky in which E150a would had been added, I can not firmly certify that caramel color has no influence at all. Anyway, in comparison to other whiskies, presumed artificially coloured, I do not feel any particular difference on caramel or sugar influence. It’s somehow right to consider caramel coloring as a manipulation, in line with many other little tricks of the food industry, but there is a (big) difference: caramel coloring does not alter the product and presents no (known) risk for our health. 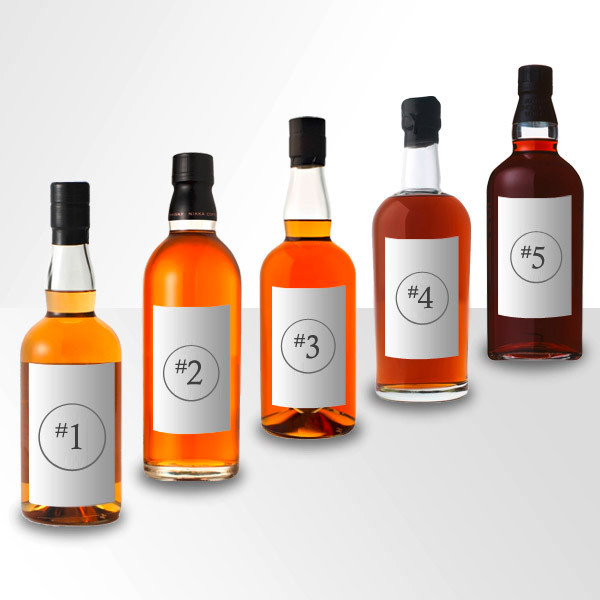 There are some whiskies without artificially colouring, generally flagged with a “non coloured” indication on the label. However, they are quite rare and difficult to identify but, for instance, some Ichiro’s Malt are non coloured. More broadly, given the non-influence of caramel coloring in whisky’s taste, would it be a shame to refuse some high quality whiskies only because of their (partly) artificial color? From my point of view, even if I would prefer only natural products, I would rather like having a dram of a good colored whisky to a bad non coloured whisky. sorry for the late reply, to be precise all whisky producers only use E150 for some of their whiskies but it’s the E150A the more natural one only composed of caramel. Just after the distillation the whisky is a clear white spirit like every other. It takes its color mostly from the wood during the aging period. But the coloration depends on each cask, type of wood and type of alcool of the first fill. Whisky producers use coloration to harmonize the color of a production, but it’s really insignificant regarding the quantity. I want to know the proportion of mixing caramel color(e150a) with my own product whisky.